So just few weeks ago while browsing my Facebook feed searching for something worth writing, I couldn’t help but notice the reports about how our current Philippine government is giving focus on stopping drug trafficking in our country, and as a citizen I think that is great! What can illegal drugs (like cocaine and meth) could give us anyway? As a woman, does these could make us more beautiful? Does illegal drugs will makes women more popular, and hotter? Or does illegal drugs will make us women wiser, smarter or richer? Okay richer, I guess! Or women turn to these substance just to get away of something? Or anything. As of the record, according to our country’s President, there are roughly 4 Million drug addicts (both men and women, in various status) spreading all throughout the country. Some have already surrendered to the authorities (thank God!) and some have already undergoing for rehabilitation. I don’t understand why our women will engage to these substances, were they already have knowledge that it is illegal. I don’t know but, many these women are testing the chances that they could get away with crime? Why I’m just talking about women, and not including men? In my post, I will talk about women as because of the very obvious reason that this is a women’s website. But I believe that gender is not an excuse to make something illegal. You are a human with brains, so better use it. No matter what their reasons are, still illegal drugs are not good and it gives a huge harm to everybody. Seeing orange might make us look fresh and hungry, but not so glamorous when you wear it behind bars. Just to show you that Orange aren’t not glamorous, here are some of women who recently got caught carrying illegal drugs. 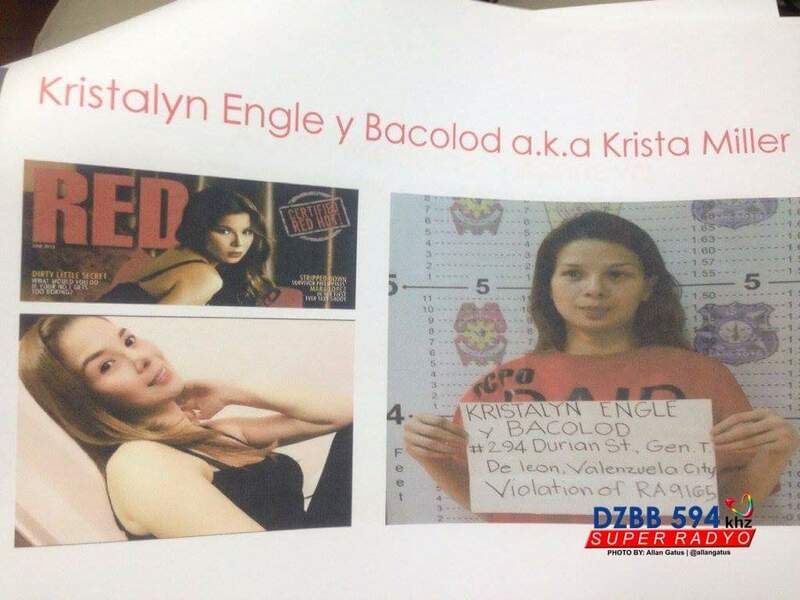 Filipino women who just recently caught trafficking illegal drugs, and they are known Filipino celebrities and models. Look how drugs changed their appearances. Drugs does really made these women FUGLY! There is nothing glamorous on dealing and taking illegal drugs. 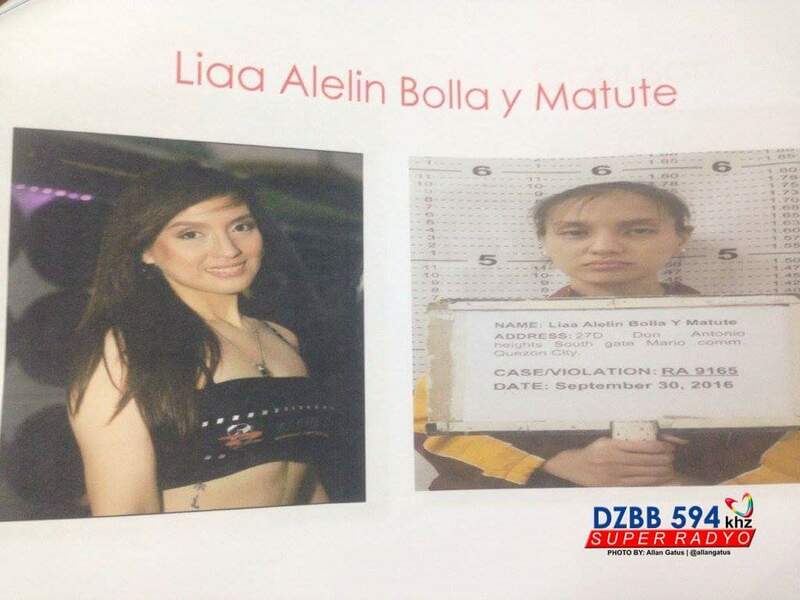 Another woman from Brazil who was caught this month of October 2016 in NAIA carrying 6.2 kilograms of cocaine from her check-in bag. 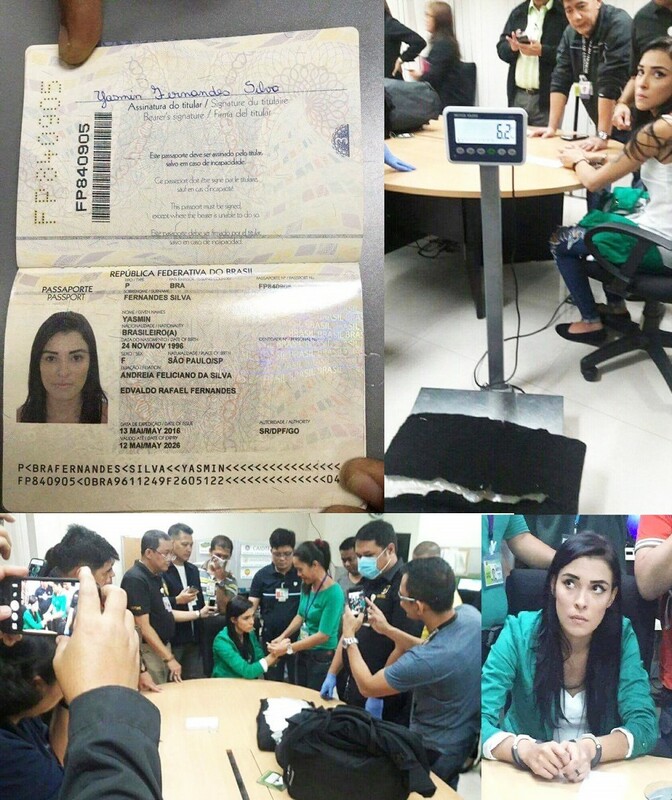 She’s from Sao Paolo, Brazil and bound to Manila from Dubai. Hey ladies and gents, as much as we appreciate you visiting our country and loving it, and you want to like Queens and Kings here because living expenses are so cheap, we don’t tolerate you bringing-in drugs. It’s not glamorous at all and it’s so tacky. There is nothing glamorous behind bars, so don’t fantasize being the stars of Orange is the New Black. They are all airbrushed and have professional makeup artists, but the reality of life behind bars have NONE. But there is still chance to change your life IF YOU REALLY WANT TO CHANGE IT! Reach out and ask for help. Don’t be afraid to confide with your family and be honest. Surrender yourself to the authorities and be open for the changes. Admitting your fault is hard, but this will help you to change, learn from your own faults, serve your time, and move on. This website is not just sharing the glitz and glam, or our hauls and swags - but also cares for women around the world. We want our women to be happy and always beautiful inside and out. So if you have sisters and friends who needs help – don’t hesitate to lend a hand. After all we are Women. Women helps Women. to think, these people are still lucky compared to those who got caught in other countries. I am sure though that there are still individuals who risk their life just to bring these drugs due to money offered. But still, it isn't worth it. :( I just hope that those who are planning would decline the offer. You are right, I wish they will decline but hell - money is sooo tempting! These ladies are still lucky, yes they got caught, but in the Philippines there is NO death penalty for illegal drugs cases unlike in Singapore, Malaysia, Indonesia and others. I just wish that they have thought it twice before getting involved into trafficking. It's sad truth. It's a shame really how many people I went to school with and died from drugs. It's a sick disease! Yeah, I strongly believe that illegal drugs are worst than cancer. With cancer, at least no one wants it and it just came unexpectedly - you have no choice. But with illegal drugs, you perfect have a choice and mind to not get involved. Any excuses is a no no. Interesting post. I have been to the Philippines and had a wonderful time--it is such a beautiful country! My country Philippines is indeed beautiful! And I'm glad that you've enjoyed your stay. But no country is perfect. And that's why we need hand-in-hand to correct all those flaws, or at least minimize it. Loved this post! Drugs are a definitely a no go for me, even though I can understand why some people fall for them.. I agree. There are thousand ways and illegal drugs should not be an option. It's nice that you explore illegal drug use with a touch of humour. I think it's a pretty complex topic. But obviously the trafficking of any illegal substances is not a good thing. 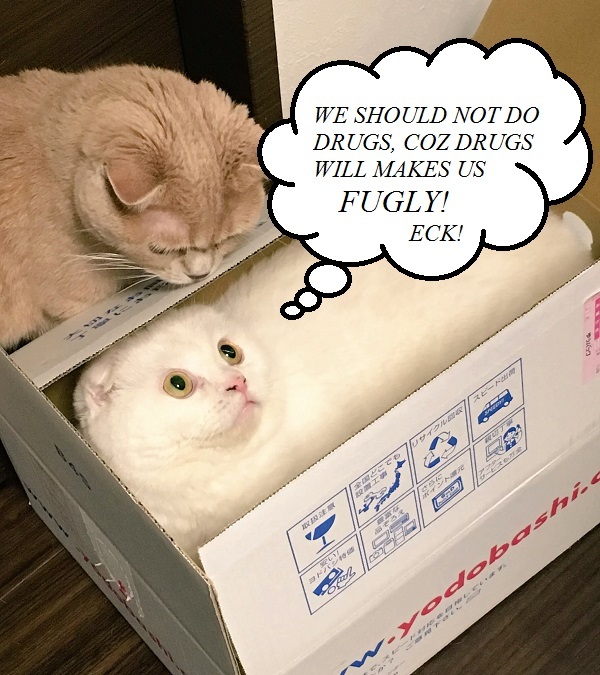 Yeah illegal drugs is very serious topic, and adding a little humor can lighten up the conversation, and could be easy to understand my the new generation. Keep preaching the good word!!! Drugs are terrible! Its crazy how it truly controls people. At least choosing beauty allows you to stay beautiful as drugs messes up the skin, as well as your insides. I would definitely tolerate and understand women who got so addicted to beauty to the point they undergo surgery. That's okay. But taking illegal drugs?? a HUGE NO. Yeah, I believe that they have good brains. It's just that they didn't use it properly, and they think they could always get out. But there is always an end on everything. Thank you for supporting my post. Let's say NO for ILLEGAL DRUGS! Shame that people are bringing drugs to the Philippines or trafficking for money. I think the best thing is never to touch it, not try and then get hung up on it. It is just not worth it to begin. Yeah it's the sad truth. But many are still getting greedy with money. Drugs are evil. they do crazy things to people and their sensibility. They are unable to make sound decisions under the influence. Drug trafficking is terrible and needs to end. Great piece on bringing awareness to this awful issue. Yeah. I think we should start teaching our little ones the implications of illegal drugs, so that at least they have an idea and not to engage with it. It's such a shame that people risk their lives and freedom for this. Yeah I feel sad and frustrated that still many women (and men) are getting involved with illegal drugs. I'm so thankful that no one I know has gotten involved with drugs. It's great that you're raising awareness this way. Props to you for standing up to make a change! Crazy to think there's such a staggering number of addicts, we need to be the voice of change! thank you Shane! We should help each other, especially if we know someone who is into drugs. They can change into better with he help of friends and family. 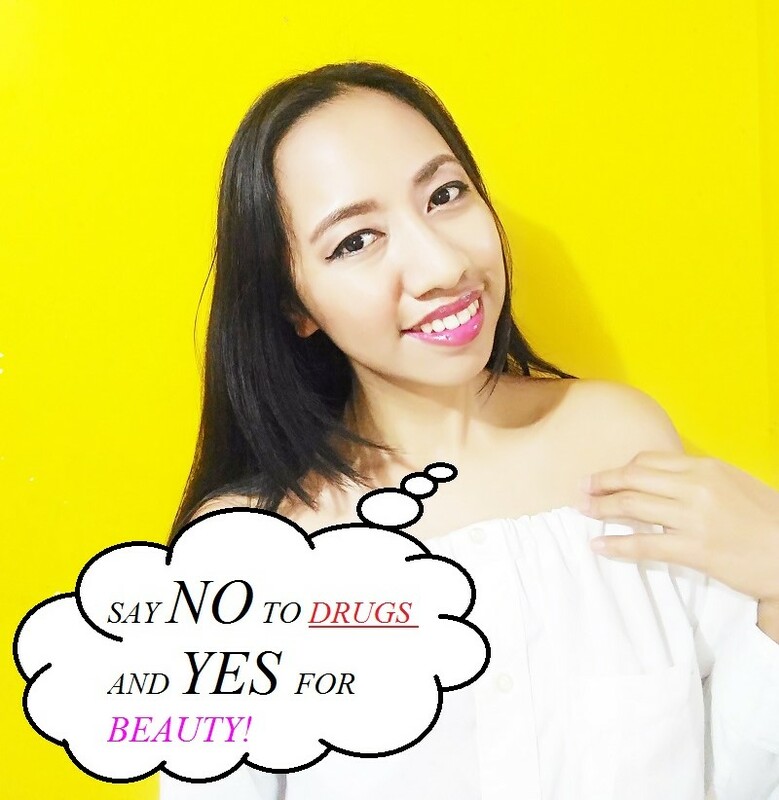 I hope that this post will at least help enlighten those who are inn-use and for those who haven't, know the consequences of illegal drugs... the direct effect of it is illegal drugs will NEVER make you Beautiful, both inside and out. Totally agree to this posy. Visit our country and enjoy the great attractions but let's create a concious reminder to leave away with the illegal things to carry..specially drugs. Yeah, and what most annoying is that some tourist can't understand that the country they are visiting observes strict law. Some of the tourist have no respect to the host, and all they think is how they will enjoy their time whatever and however they could do it. I'm so grateful we've never been involved with drugs. We live in a community that has a lot of druggies. It's so sad. I am so happy that the current government in the Philippines are very strict to implement laws, and continuously many drug users and pushers and drug lords are surrendering themselves. Its like you do, or you die.